You spend hours cleaning your kitchen counter only to find that it’s filled up with junk just a week later. It’s really enough to make anyone quit. But, are you using this stay organized secret that will help keep your space organized forever? I used to hate organizing. And I was happy. Really, I was…. For a about a week. But then the junk started coming back. Unpaid bills, artwork from my kids, paper clips, free notebooks, until I barely had a space to work anymore. Mom life is hard enough. “What’s the point?” I thought. If it’s just going to get messy, why even bother taking the time to organize, for instance the bathroom, if the mess is going to come back? But, I was not doing one crucial thing to stay organized. Something that I know you will never do when decluttering. Now that you know, that is. Ready for it? You must set an intention for the space. What do you mean by intention? Let me explain it this way. You know that junk drawer you have in your kitchen? It started as a little extra space. How nice, you thought. I have all this extra space and I have no idea what to put in here. I’ll just leave it empty for now. You received a cute stationary set from a friend. You put in that drawer. Then a coupon you wanted to keep. You put it in that drawer. Then, a pack of playing cards, the checkbook, your booklet of stamps… every single item you had no clue what to do with, you put in that drawer. Until suddenly, you didn’t even want to open that drawer any more. You hated digging through it. It would honestly be better if it disappeared. So, why did this happen? You never decided exactly what you would use that drawer for. So anything went in there! What do you want this space for? You must make the decision immediately. 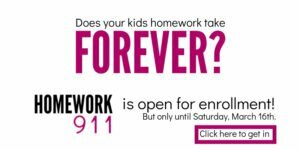 If you don’t, the space will become a free-for-all for every member of your family. For example, I want to use my desk only as a workspace. That means that NOTHING goes on top of my desk. Once I finish working each day, I must clean the space off and put everything away. In the case of a kitchen drawer, we use one of ours for a homework drawer. That means only art supplies, post-its, pencils, erasers and anything else you would use to do homework, lives in this drawer. What do you currently use the space for? As you look at the mess accumulated in some space of your house, do you see a pattern in what lives there currently? Perhaps, you are using it as storage area for something that, until now, you had no clue what to do with. My friend Jenna, used to have a spare entertainment center set up in her living room that was crammed with junk. She hated looking at it every morning. It became this space of dread that greeted her every time she walked into the door. She knew that it needed to go away. Then, she examined the Keep pile for any common threads. This is what you’ll do, too. Jenna sells essential oils and found that most of her “Keep pile” was oils and handouts about oils. She realized that she had no set place to keep her business. Once she moved all of the oils to their own designated spot, the area stayed clean. What systems will you set up for keeping the junk out of the space? Just as a heads up, I’m providing an affiliate link for your convenience. It costs you nothing to buy through my link, but I get a small commission for recommending the product. I’m a huge fan of If/Then statements – which I picked up from Ruth Soukop’s book, Unstuffed. The premise is simple. If I have A, then I do B. For example, If I get a coupon in the mail that I think I might use, then I put it in my wallet so I’ll have next time I’m at the store. It doesn’t go in a drawer. If I have a bill that needs to be paid, then I put it on top of my keyboard on my desk. I can’t do any work until it’s paid so that forces me to take action on the bill. Now, look at the space you are about to declutter. What if/then statements can you set up for the materials there? 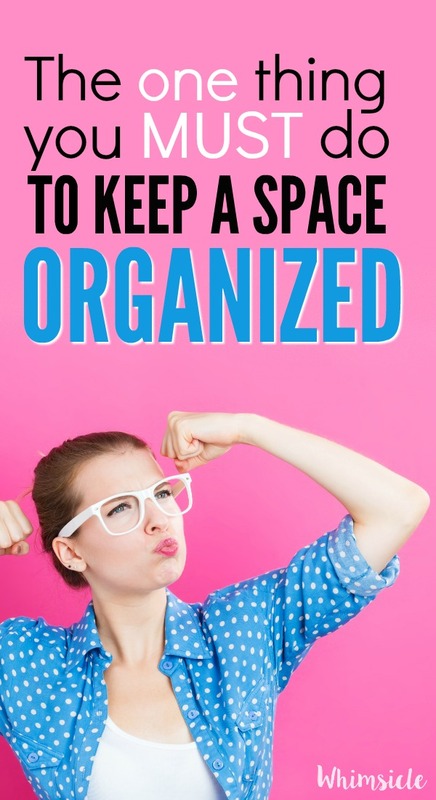 Now that you know the secret to organizing a space, I can’t wait to see your victories! By setting an intention for your organized space and then figure out exactly why stuff piles up in that area, you will make sure your clutter never returns. The system I use to get and stay organized. You don't need a bunch of organization hacks. Just do this! Mom of 2, National Board Certified Teacher, M.Ed - I'm devoted to helping moms find balance between raising kids and pursuing their own goals. Phoenix, AZ based. Copyright ©2019, No Guilt Mom. All Rights Reserved.